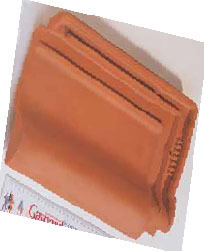 These are small tiles which are fitted side to side and which have a triple headlock that assures watertightness. 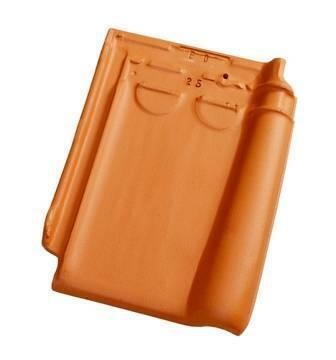 They are suitable for steep slope roofs. 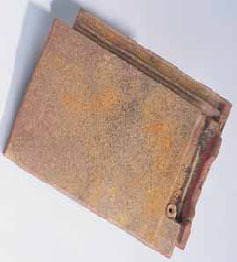 You may also have tiles with a “flat look” which interlock together. They make fitting easier but still look like flat tiles. Many shapes and colours are available. 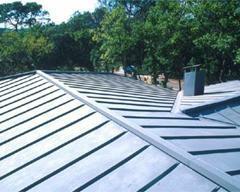 They can be used for all styles of roofs. 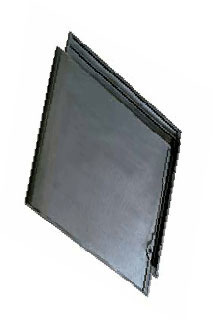 Easy to fit and to handle, they are solid and very resistant to harsh weather conditions. They also have an excellent life expectancy. Different shapes are available. Naturel slates are a synonym of quality and prestige even though they tend to be more fragile and more expensive than fibercement tiles. 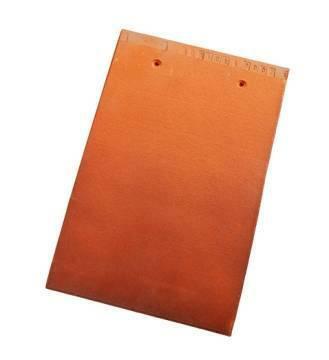 Used on sloped roofs on new or old constructions, metal tile sheets are metal sheets with a tile design on the top and a layer of thermic insulation on the underside. Many colours are available. 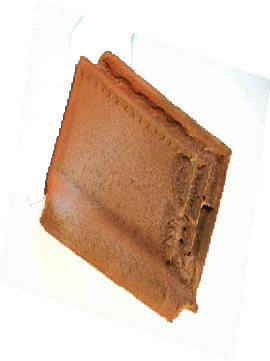 A long life product, the fiber cement guarantees the watertightness of your construction and at the same time lets it breathe to avoid condensation. The sheets have sound proofing qualities and are resistant to moss. Economical, easy to fit, less maintenance, they can be painted using adequate products or purchased already coloured with mineral pigments. 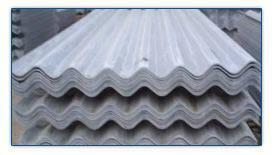 For roofs with slight slopes or for flat roofs, garages, warehouses..., these corrugated steel sheets have large or small ridges, with or without insulation on the underside, different colours are available. 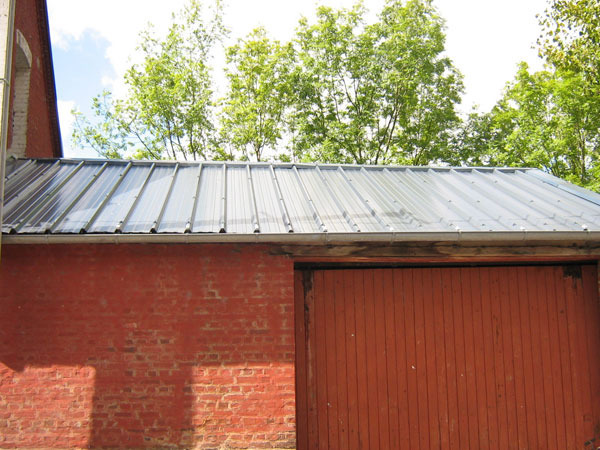 For flat or slight slope roofs, these are largetray shaped sheets of zinc, more aesthetic than corrugated steel sheets, they are ideal for small outbuildings, warehouses or garages.